Hello ABFE members, friends and supporters. I hope you all are enjoying these first weeks of spring. It is with pleasure that ABFE announces the re-launch of our quarterly communiqué, ABFE News & Updates. We have been extremely busy and this communication could not come at a better time – a time when the Trayvon Martin tragedy weighs heavily on our hearts. I know we all are watching the national story unfold (many weeks after his death), participating in local marches, blogging and signing petitions. In between all of that we are managing our emotions – including anger, sadness, frustration?, etc. I have found myself more frequently asking for guidance, strength, and the ability to stay the course. We are actually all doing work related to Trayvon so we must stay the course! But the course, my friends, must be a different one that is more strategic and connects us in new ways that leverages our resources and builds our power. A bolder course is necessary and must happen now. After much discussion and deliberation, our leadership defined a new vision for the organization to guide our strategic work over the next few years. First, you will notice that we refer to being part of a movement to support this country. This denotes that our time and attention to connecting with a broader group of partners to leverage resources for Black communities will increase over the next few years. Responsive philanthropy for Black communities requires working in partnership and in concert with others; something that many foundations do well…while others continue to struggle in this area. Second, the statement references “philanthropic entities” as a critical partner in a movement. The phrase “philanthropic entities” speaks to an array of organized giving vehicles including foundations but also a broader group of United Ways and Giving Circles to name a few. Third, we reference donors as partners. We know that individual donors give away more money to charitable causes than foundations in this country. If you consider the fact that we are a philanthropic people — Blacks give more of their discretionary income than any other group. Relative to donors, ABFE wants to ensure that Black donors have access to the information, materials and connections that professionals in institutional philanthropy have. In that regard, we want to support partners who are intentionally organizing Black donors and become a resource wherever possible. Lastly, our new vision references connections to civic and nonprofit institutions. When we think of philanthropy in our country, the role of Black civic and service organizations is critical…I am speaking of groups like the Links, the Masons, fraternities and sororities, etc. Just consider the time they spend on community and public service, the talent of their members and the treasure ($$$) that flows through them – we must be more intentional about connecting with these groups as well. ABFE friends and supporters, I venture to say we have what we need – in spite of all of the disadvantages that we face, we are resource-rich. What we need to do is better mobilize all of our resources for community impact. What we need to do is get our house in order! 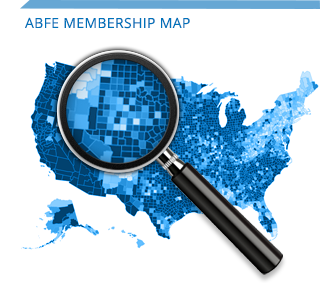 Our 2012 conference is ABFE’s first attempt to connect some of the dots between these groups…philanthropic entities, donors and civic/nonprofit organizations. It may be uneasy for some of us – having “funders” and those that see themselves in the “grantee” space in one room. We don’t know how it will turn out – but we also have no time to waste. We also plan to do more networking and showing-up at other organization’s events. The more leaders for Black communities that can convene and strategize about joint action on similar places, the better. The Trayvon Martin tragedy has been called an “Emmet Till Tipping Point” for this generation. Will it galvanize those of us who have been doing the work on behalf of our communities to think broader, work harder, and act collectively to turn this moment into a movement? Let’s go to work…let’s mobilize all of our resources…let’s do it for Trayvon.